How do you provoke the feelings you get when you’re at a festival or any incredible live experience, across the digital and social media sphere? It's clearly an issue a lot of teams struggle with and everyone is trying to figure out how to stay on top of. Since we all know the benefits if you can get it right, I thought I'd sit down with someone is. 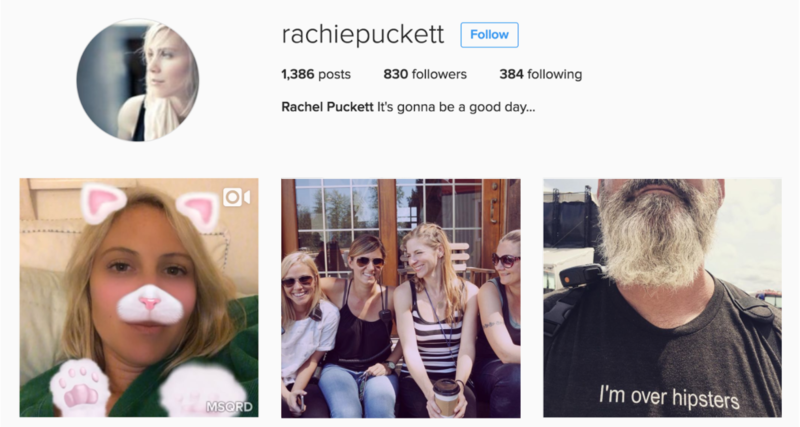 Enter Rachel Puckett and her crew at Huka Entertainment. They are consistantly finding ways to crank out content that captures the essence of that feeling. Which as we all know adds enormously to the fan experience and that bottom line. So... of course I had to sit down with Rachel and find out what it’s like working in the content trenches on multiple Huka festivals. BTW - for those of you doing digital media, social or event marketing. Get ready to geek the F out. Welcome to Rachel's office. She's definitely locked in here. Event Marketing Strategy in progress. You ready to do this Rachel? That is such a tough question. 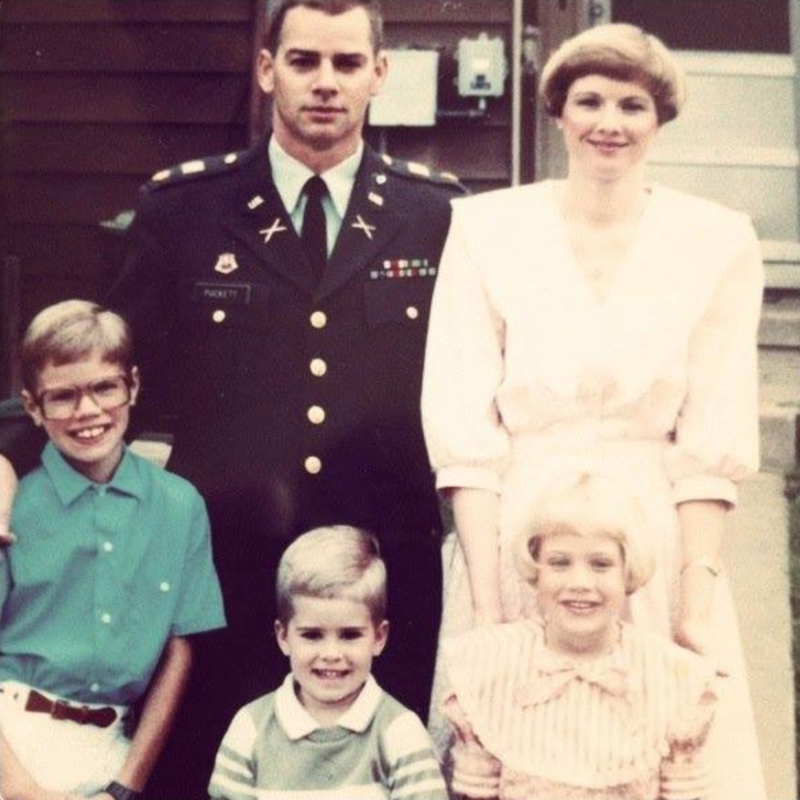 Technically, I'm an army brat, but I defer to Indiana as home. My parents always joke, "You grew up in the world. You didn't grow up in one place." You were built for the event world. I think so, but I don't know if anyone's ever completely well suited for it. It feels like you're joining the circus sometimes. You are kind of a carnie. Hah! Yeah, a carnie for sure. So if you were an emoji, what would you be? My goodness, that is the best question ever. Let me see. What's the one that I use all the time? Ok, embarrassingly enough, I use the poop emoji a lot, but that's only because it's awesome. Of course you do. It's my favorite as well. That's so hard … but it's no secret. I feel like I can say this and not offend anyone within our own company, but I've always loved Newport Folk Festival. It's legendary. It's what spun off so many artists’ careers. I think it was one of my favorite festivals I attended before I even started working the festival world. It's one of my last experiences as just a true fan, and not from the inside, of me just feeling like it was such a magical place, especially because the intimacy of it is so special. It's what so many festivals try to emulate and haven't really been able to get that close. You just gave a major shoutout to Deb Girard, Brittany Manley and the crew at Newport. They’ll love it. Cool. They're doing really cool, magical stuff. I definitely am always looking for them, not in the way of what festivals are doing with cutting-edge technology, but more like, let me go back to the root and soul of why we do what we do. 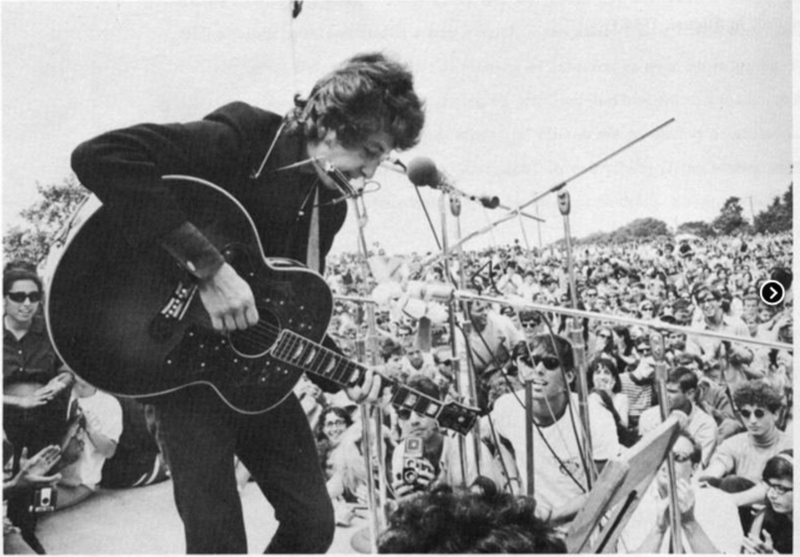 Bob Dylan Newport Folk Festival 1965, Photo Cred: Newport Folk Festival. Event marketing Strategy: never leave out the root and soul of the fan experience. Let's dive into the social side of things. Personally, what social platform fits your personality the best? That's something we actually we talk about a lot... For me, it's totally Instagram. I like that it is challenging in the respect that you have to tell a story through a photo. It has helped the average person become a content creator. They get really poetic and sometimes emo and deep, but also funny. It's like photojournalism, but photo citizen journalism, and that's really cool. That cat post was just gripping. How many different social channels are you managing at Huka? I work with a really good team of people who help greatly, and, together, we manage Tortuga's Twittert, Instagram, Facebook and Snapchat accounts. We also do all the same accounts for Pemberton, and the same for Huka as our general promoter social profiles. As a promoter, it's hard to run a page and use it in a way to sell tickets to all of those shows if you're promoting concerts all over North America. You're not always speaking to your entire audience. That's still something we're trying to figure out and do better from a promoter footprint online. That can be tough. Do you try to respond to every comment, like or retweet as possible? We couldn't do this without the fans. They're everything. Our festivals are built off of them and their feedback. So we answer every question, even if it takes a day or two. If you go through our social media and our Facebook posts, we make sure every person’s question is answered. If they have a positive comment, it's liked. Sometimes we'll go in, and just for the heck of it, we'll drop in a funny GIF or a YouTube link just to create a conversation with them. We feel like it's our house and we're inviting all these people into it. If all these people show up and you don't talk to them, you're kind of a horrible host. Do you have a content calendar for each platform, or how do you manage overall? We do. We run everything separately. We as Huka have a different voice than we do as Tortuga or as BUKU or Pemberton, so we keep calendars completely separate, and we look at that specifically from the eyes of Huka. Same with Tortuga and Pemberton. I feel like it's just vastly different types of voices and content that you're putting on each one, so we try to keep them in their own worlds. How do you structure your team then, your social team? Right now, my colleague Mike and I split the workload as managers. Mike handles a lot of data analytics and overseeing a lot of traditional guys as well. I handle social, content and PR. Then, underneath each of us, we have a small team of people that help work on all of those things with us. Mike and I get to be hands on a lot, probably more than we should be in some senses, but then we're able to have a high-level picture of everything that's going on as well. Rachel and the Huka Marketing team splitting up responsibilities. Everyone carries their weight on this team. Are you using influencers for content in any way? For sure, absolutely. We have influencers that we invite to all of our festivals. However there's been a learning curve. Originally, we would find influencers that had a huge following and made sense to us in terms of the aesthetics of what they were posting, specifically on Instagram. Then we found it's not necessarily about the followers; it's about the engagement they're getting. We've gone with more of a micro-influencer route who might have 5 to 10,000 followers, but they're getting crazy engagement on all of their posts. We also work with them and give them admission. We try to make it fun. We tell them here are the cool things that are going to be happening on site. Here's how many times we really need you to post beforehand, on site, afterwards. Here's some things that we'd love for you to capture and focus on, but then we let them do their own jobs. However, I'd say to be carefule, because it's really hard to feed influencers content and have them reposting because there've been so many people who have gotten into messy situations where they've copy and pasted, and it didn't sound like them. Then it's making them look bad to their followers; it's making your brand look bad. You talked about having different brand voices per festival. I'm curious. 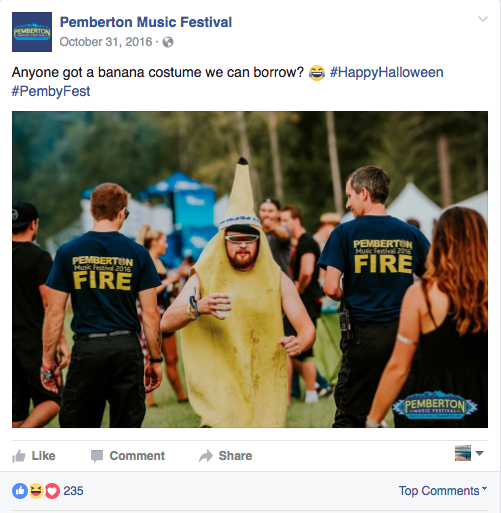 How do you establish your brand voice for something like Pemberton versus something like Tortuga? We build brand profiles and personas for each of our festivals. So having the right voice specific to the festival brand and our fans is critical. So when it comes to Pemberton, I honestly have to pass a lot of things by some of the younger people in our office, and they help with copy writing. It's a coming of age festival. It's where you go to find and discover yourself. People become like family. What is the process that you go through when developing that voice per festival? It's the fans. Right now, I could log on as Pemberton, and I could have an entire conversation with a fan. In the history of marketing and advertising, that did not exist 20 years ago. You had to do a big focus group in order to get that close to a customer or a fan. Now I can do it any minute of the day, any day that I want. For Pemberton's lineup announcement last year, we asked our fans to call into a number and leave a message to help us release our lineup. They called into the hot line, and they had a tiny bit of a script to use, but then had to get creative on it with their words. We asked them to say, "Pemby is going to be blank," and a majority of the responses we got were, "Pemby is going to be lit AF". So we ended up taking that and using it as material for a Snapchat filter. I think that same recording made it into a TV spot or a radio spot. 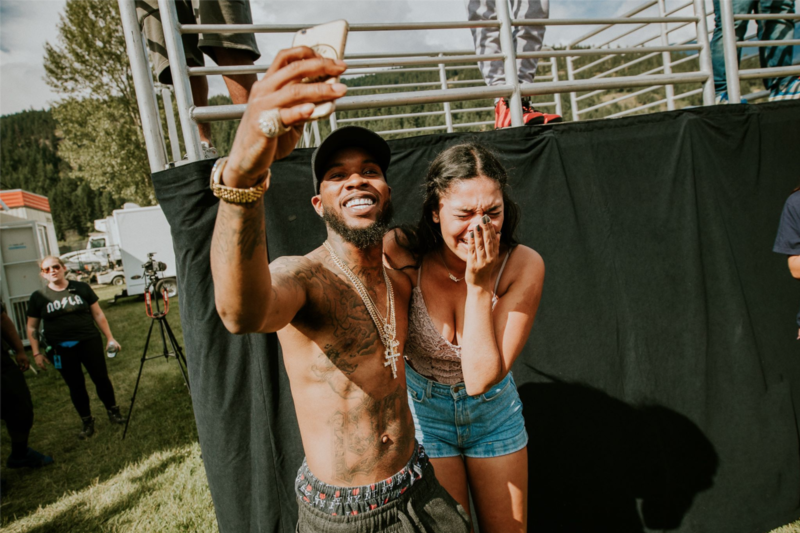 When you think about your fans, what do they want more of? Information. They always want to know when things are happening, when's that lineup coming out, who's playing. When are you announcing your dates? In the hours that we don't have much to talk about as a festival, they want inspiration. They want to remember, and then they want some news on what to look forward to. How any festival or promoter does that, whether it's through photos or videos, that's where the creativity and magic happens. I think that fans ultimately have these fond memories, and they want to be able to, look back and remember those things. Like a scrapbook. Pemberton's Instagram is full of Info for the fans. 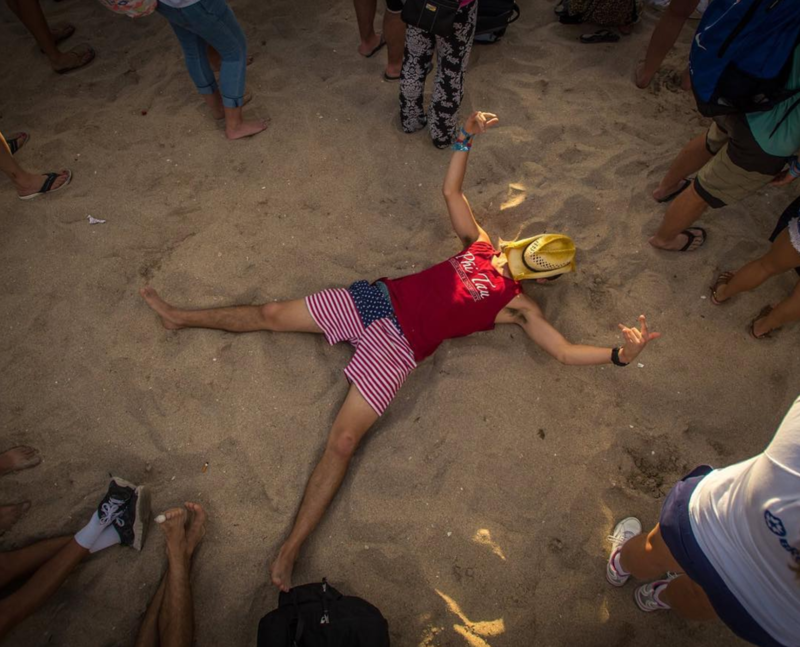 From a festival perspective, what social platform do you think offers the most upside? I think from a news perspective, Twitter is strong. Our publicists are strong on Twitter, especially for Pemberton. That's where news breaks and that's where the journalists are. In terms of building a community, it's Facebook by far. When any festival releases their lineup, the first thing I ever hear in our office is, "Well, what are the fans saying?" The place we go is Facebook. It's the modern-day message board. Sure, Snapchat is mega strong. Everyone's on Snapchat, but it's not as public as Facebook in terms of feedback. Who do you think wins the "LIVE" battle from the platform perspective? Facebook is definitely really aggressive with it right now. So my bet is on Facebook, but Snapchat led the way for it. Snapchat showed them that it was possible that live stream could exist on a social platform. What's really compelling about live streaming right now, is that it's not necessarily going to be the big brands that are leading the way on it; it's going to be our fans. If you think about it, it's kind of insane. 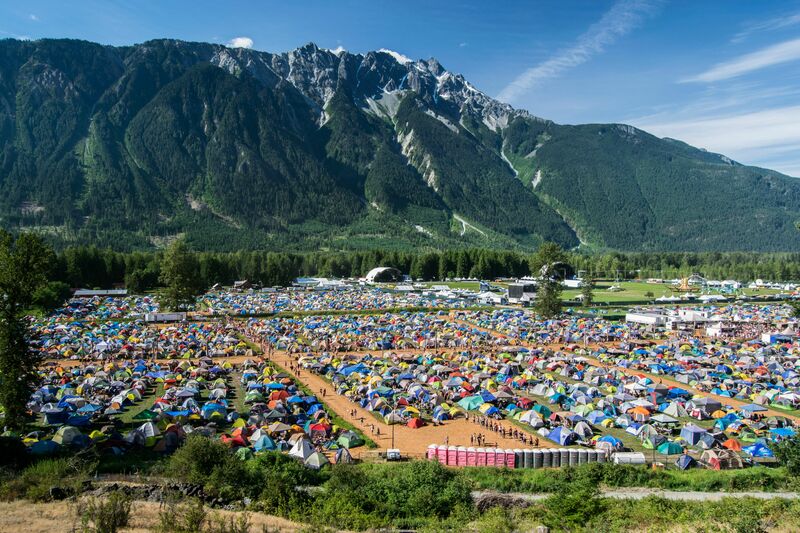 Our fans outnumber us on a festival site. We have maybe a handful of cameras going around, but our fans have a camera in their pocket, every single one of them. So the potential for the live streaming content that can come from that is ridiculous to think about. Given your background with Live stream, is one of the biggest opportunities for a festival's growth? "If content is king, then context is God"
What one feeling do you hope each of your fans or participants will walk away with? Connection. A feeling of connecting to a person, to a place, to a moment. Connection, for sure. That's what we're all about is connecting people. It's building those memories. How do you manage interns in the marketing department? We bring in two to three interns a semester. We have a really great internship program. We look at it as you're coming in here to learn. You're not coming in here to sit behind a computer and an Excel sheet. They get a crash course in festival branding. Then we take them to the next level and allow them to create content. We'll talk through that content with them in terms of what works and what doesn't. We still have a lot of control over what goes out, and we still publish everything, but hey add to the process greatly. 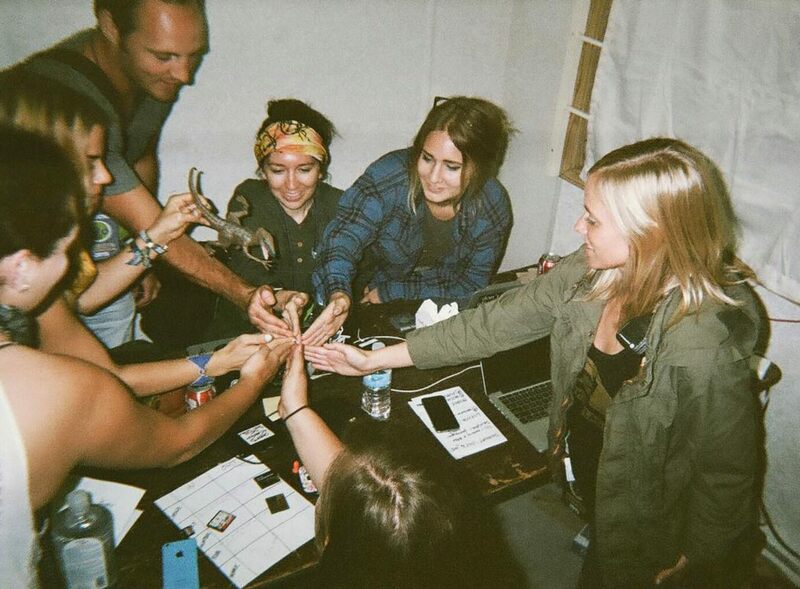 And for our stronger interns, we let them loose on site at a festival to help us. Talk about a crash course. What traits are you looking for when you're hiring somebody for your team? In terms of qualifications for joining our marketing team, it's definitely a mixture of strategy and creativity. In general it's someone who really fits into our culture. We have a very tight-knit group here. We joke all the time that it's not a job; it's a lifestyle. 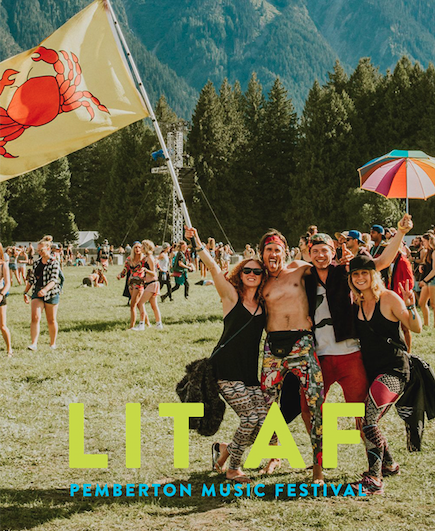 So before we even look at your qualifications or how well you would probably fit for the job, we ask ourselves, is this someone we could hang out with on a festival site for 24 hours for two weeks? Is this someone who we can be in the trenches with? That's number one. 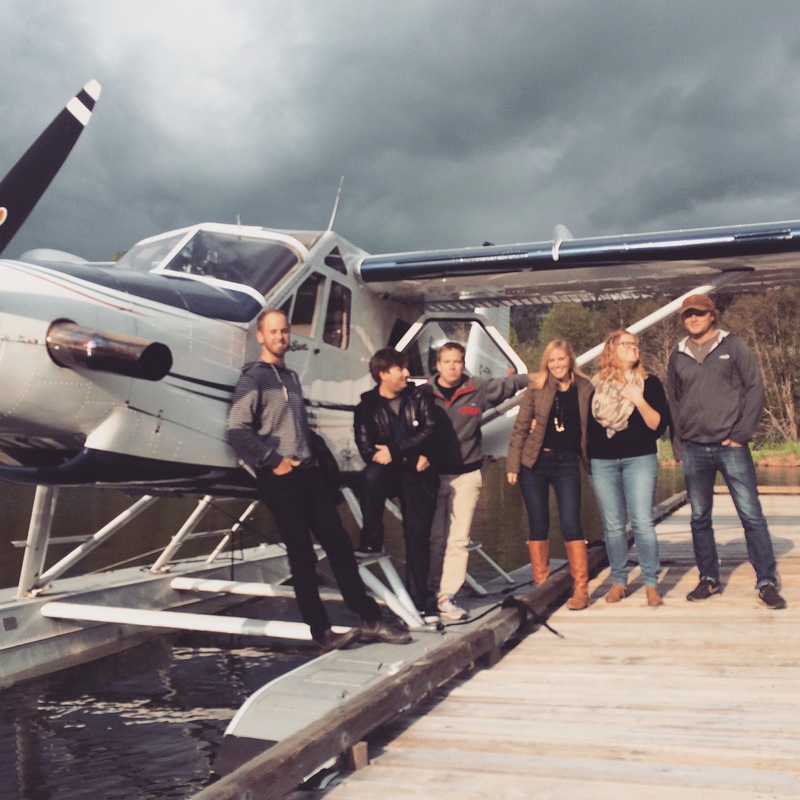 "It's not a job, it's a lifestyle"
Just another day at the Pemberton Office for Rachel and the Huka Marketing Team. Boy... I was once told, "Keep chasing the things that make you curious and excited because you can't go wrong, you'll always be learning." So, "stay curious, stay excited" would be my advice. We just talked about this in a marketing meeting because there are other competing festivals that are popping up. 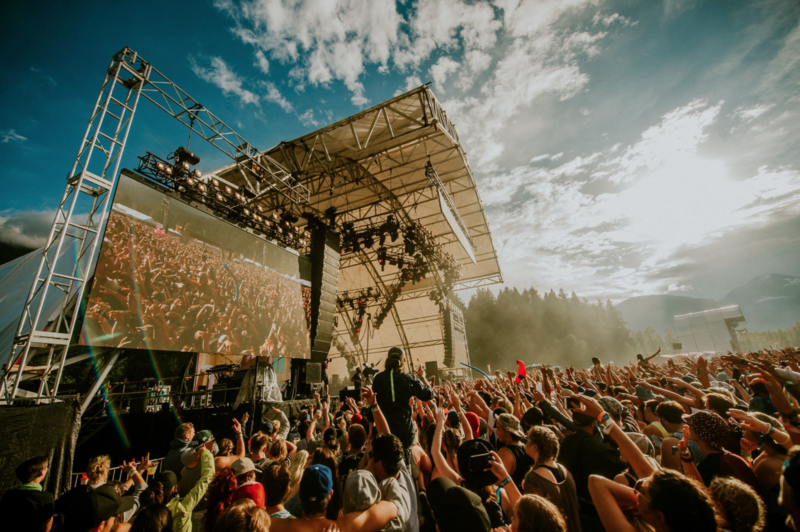 But the reality is, anyone can go out and create a music festival, but it comes down to understanding what's unique about your event and what you ultimately want to create. Because it's not necessarily just the shell of it; it's what you're filling it with. So I say to challenge yourself and really understand why are you doing what you're doing? If you're honest with yourself and your team, I think you'll be surprised by the answer. Which will ultimately help you create a better experience. Awesome. Thank you so much for your time, Chris. I really appreciate it.